Recently, I went to Orlando to experience the Electric Daisy Carnival in Orlando (EDC Orlando). It was two fun nights, dancing the evening away with great company. 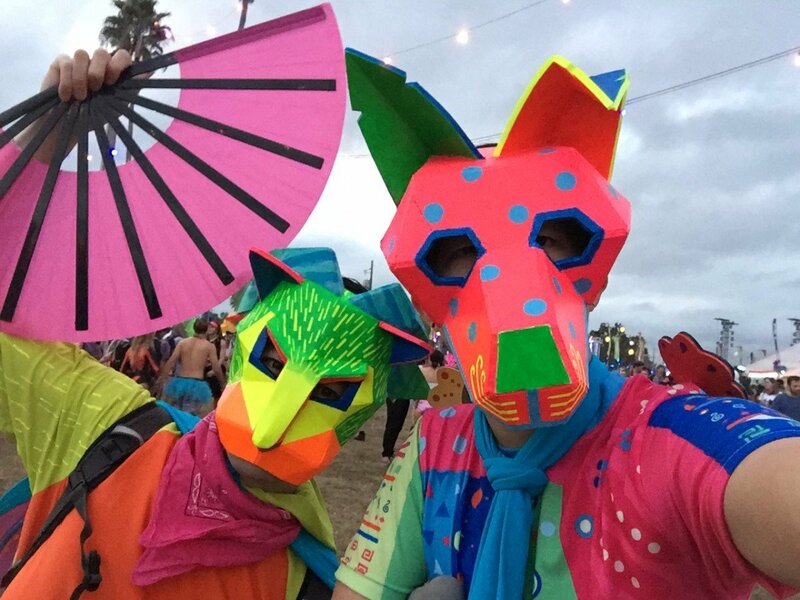 I had been to EDC Las Vegas before and loved the crazy outfits so many people wore. Leading up to the event, I knew, especially with the weather being cooler, that I wanted to create something cool. I was able to get my friends to also dress up. My group of friends settled on Disneybounding as our loose theme. I didn’t know what character I would Disneybound as though. One of my favorite animated films of 2017 was Coco. Not only was it beautiful to watch, but I loved how caringly the movie explored the culture of and surrounding Dia de Los Muertos. I can’t express how authentic the film was, but it seemed to have the same attention to detail that I felt Big Hero 6 had towards Japanese-American culture. It’s this love and attention to detail that made me want to bring to life a character from the film. I also didn’t want to appropriate though. After a lot of research into alebrijes, I ended up choosing to create Pepita, the larger than life spirit guide to Imelda. For this outfit, I patterned out and sewed a mid-sleeve hoodie with a large orange chest. The rest of the hoodie and my shorts were bright green with fluorescent-yellow fabric paint painted on in variable stripe lengths. I used pellon to create a structure for my wings that I would wear over my CamelBak. I used the pattern of the wings to sew a blue top and pink underside that I finished with more fluorescent fabric paint. The finishing piece was a mask that I first modeled with paper. I cut out foam pieces and assembled it all together before painting the mask with fluorescent acrylic paint. Especially in areas where there were strong black lights, the whole outfit stood out. Even if people didn’t know Pepita, they still thought what I made was cool.